Pokemon GO has achieved what most games only dream of; it has become the most popular mobile game in the USA ever. According to Survey Monkey, the augmented reality game has attracted 21 million daily active users. Candy Crush Saga, one of the world’s most popular mobile games had 20 million daily active users at its pick. Another worthy opponent, Draw Something, was only able to reach 16 million users. Pokemon GO became the most popular app in the App Store on the day that it was released. It has since attracted downloads enough to beat the heavily advertised Clash Royale and Slither.io. Three days after its release, it had more downloads than Twitter. Pokemon GO is undoubtedly the biggest game of 2016. Survey Monkey speculates that the app will surpass Snapchat and Google Maps on Google Play Downloads. 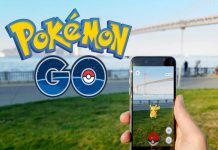 Niantic, the app’s developer, claimed that it is earning millions of dollars every day. 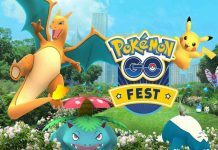 While the game is free for download on all platforms, users can spend real money on ‘in-app’ purchases (Pokemon GO microtransactions). 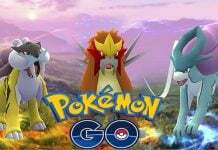 Niantic produced the app in collaboration with The Pokemon Company, which is partly owned by Nintendo. Nintendo has a stake price on profits earned by the game, explaining why its share price increased soon after the release of the game. Not all games that begin with this kind of hype stand the test of time. Draw Something, which was released in 2012 captured the attention of mobile users for a few weeks before it was totally forgotten. The fate of Miitomo, the last game Nintendo developed, had a very short success story. Is Pokemon GO headed for the same fate? For comparison purposes, figures in the report are focused on the US. The game is not yet available in all the countries. In fact, the game was launched in the UK earlier this week. Whether the Pokemon GO will reach 93 million global daily active users like Candy Crush Saga is hard to tell right now.